Meeting an Options client for the first time when she arrives for her appointment may look like the beginning of her relationship with us but it’s not. Long before she walked through our door, before she called us on her cell phone, or googled us to find our website, we already had a bond. Impossible, you might say, while shaking your head. What vehicle connects us to our clients even before they make their first point of contact? I chose prayer as the third installment in our series exploring the Options difference but in retrospect, prayer should have been first, even before free services and before hospitality. Prayer is the unseen force that breathes life into every aspect of Options ministry and connects us to our source of compassion in Christ when we interact with pregnant women and their families. Our staff and volunteers pray all the time at Options, usually with words, but sometimes prayer can be more than words. When we are sitting with a woman who wants an abortion, we can’t exactly ignore her and break into an elaborate prayer. In a moment such as this, prayer can be an attitude of surrender to God’s presence. Surrendering is not easy especially when we prefer a desired outcome. Prayer is needed to find peace in God’s presence and helps us to listen now instead of thinking about what to say next. A prayerful attitude keeps us focused on what we are here for in the moment so we can reflect God’s peace and strength to our clients instead of trying to control what will happen in their future. While our natural inclination is to fixate on results, we limit God’s power or we fail to recognize it when we forget to ask for his grace in what we are doing right now! Surrendering the outcome doesn’t mean we don’t care; it means that we make peace with our lack of control over our clients’ lives, allowing us to step aside and let God do his work. There have been times, too numerous to count, when a client left Options with an intention to abort, and then contacted us with a complete change of heart, thanking us for accepting her and giving her space, and for letting her find comfort when she was at her worst moment of crisis. God was working even when we thought we had failed. Our prayers of petition are then transformed into prayers of thanksgiving and praise! Prayer also serves as a necessary stop gap before taking action on our clients’ behalf when we are overwhelmed and don’t know how to help or what to say. Throughout the gospels, at the height of his public ministry, Jesus always took time out to pray especially when he was pressed by the crowd. (He went up into the hills by himself to pray. Matthew 14:23) We can’t head for the hills to pray when we are sitting with a client discussing her challenges, but we can pause in the silence of our hearts to seek God’s presence. In the same way that we counsel our clients not to act rashly in the heat of crisis, we need to pray before we jump into rescue mode on their behalf. At such times, prayer refreshes us and reminds us that we are not alone. Taking time to pray, even if it is only a word or phrase whispered in silence, opens up our creativity in responding to our clients’ expressed needs and joins us with the collective body of Christ who may be praying for us and with us at that time. It’s always best to pray first, act later! Options is a ministry whose posture is always on its knees, and that’s exactly where we want to be. On our knees means that we know that our time with our clients belongs to God and we are in His care, that we seek His blessing* in all that we do. Prayer Chain: Options has an ongoing prayer chain that goes out to our network of friends and supporters and is updated on a weekly basis. Corporately: Often in the morning before client hours, our administrative and client services staff have devotions and prayer around our conference table. Sometimes during lunch, we pray for clients and each other, and always during our bi-monthly staff meetings. Social Media: Prayers and intentions are promoted through our social media outlets and email blasts. 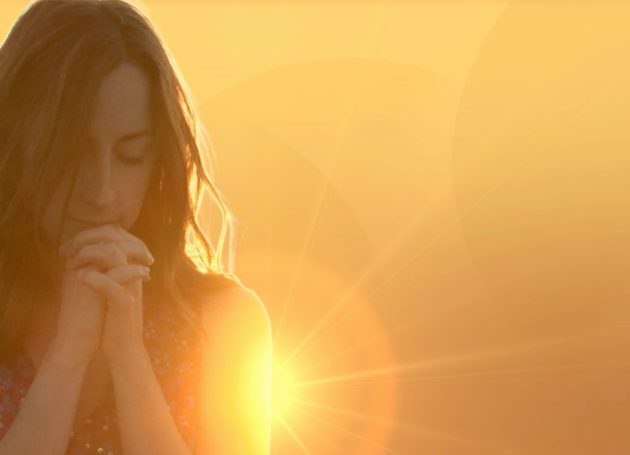 Personal: Our client services team is encouraged to have an active prayer life. We pray for ourselves, for our families and each other at our quarterly case management meetings, and often share our private struggles with each other before God. Individual Prayer for Clients: Each time a client advocate/counselor meets with a client alone in the counseling room she is encouraged to pray for that client. Sometimes a client’s case warrants that we start praying for her right after an appointment is made. One on One with Our Clients: We always ask for a client’s permission to pray for her and with her. When she says yes, we pray out loud with her but we always pray for her privately no matter what! Contemplatively: Certain staff members take time out at least two days a week for contemplative prayer when we listen to God in silence instead of using words. On The Fly: It’s not uncommon to see staff members praying together, or a counselor taking a few extra moments to be alone with the Lord before meeting with her next client. Speaking from personal experience, I’ve often walked into the next office to request prayer for a client or a situation when I’ve felt the need for support. Our doors are open for prayer at anytime. Prayer is the engine that keeps our ministry going and the glue that knits our community of staff, volunteers and donors who come from diverse backgrounds and denominations, unified on behalf of our clients and their babies. We would fall apart without the prayers said in secret and in concert from all who daily seek God’s wisdom and life saving intervention.